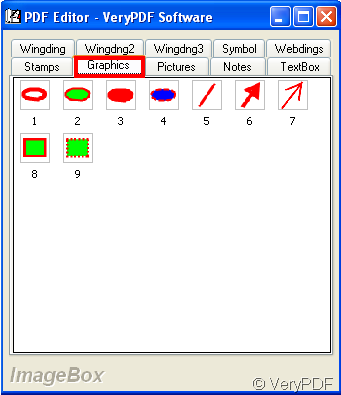 ← How to print DJVU file to PDF file? 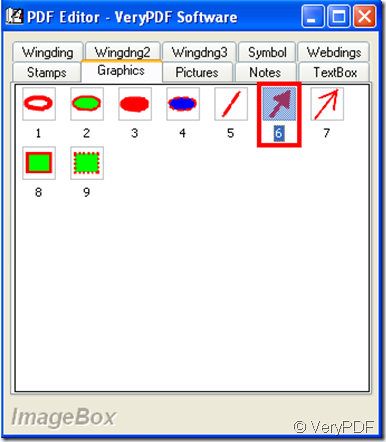 How to add graphic annotations to PDF files? 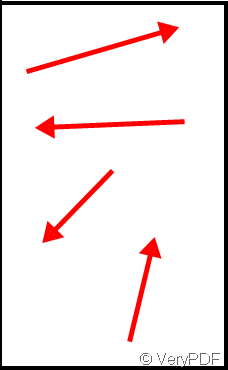 In all there are nine graphic annotations in VeryPDF PDF Editor, four ellipses, three arrows and two rectangles, they belong to comment, so can be edited further. Open VeryPDF PDF Editor and add a PDF file to it, then in the menu of VeryPDF PDF Editor find Document from which find PDF Annotations and click it. 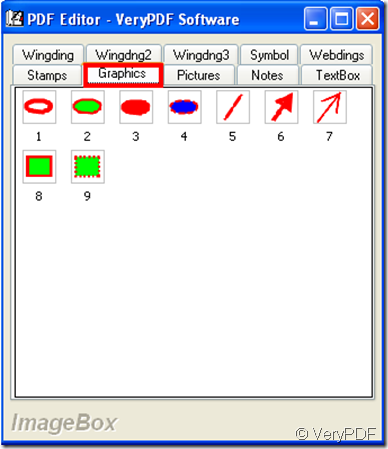 Then a window pops out, in which find graphic and click it, thus you will see. 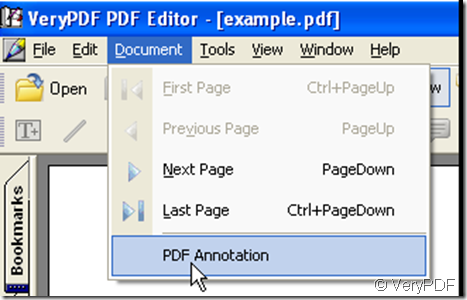 After that, click a graphic annotation then move the cursor into the space of the PDF file. 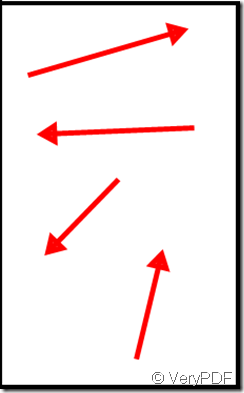 Slide the cursor in the PDF file according to your desire, if you slide the cursor from up to down, then the arrowhead aims at down, if from down to up, the arrowhead aims at up, the arrowhead always aims at the direction that the cursor stops there. Every time when you have added a graphic annotation the cursor revert automatically, so you need repeat the operation to click the graphic annotation in the image box. This entry was posted in PDF Editor and tagged pdf annotation, pdf graphic. Bookmark the permalink.